Plumas County has been my home since our family moved here in 1980. 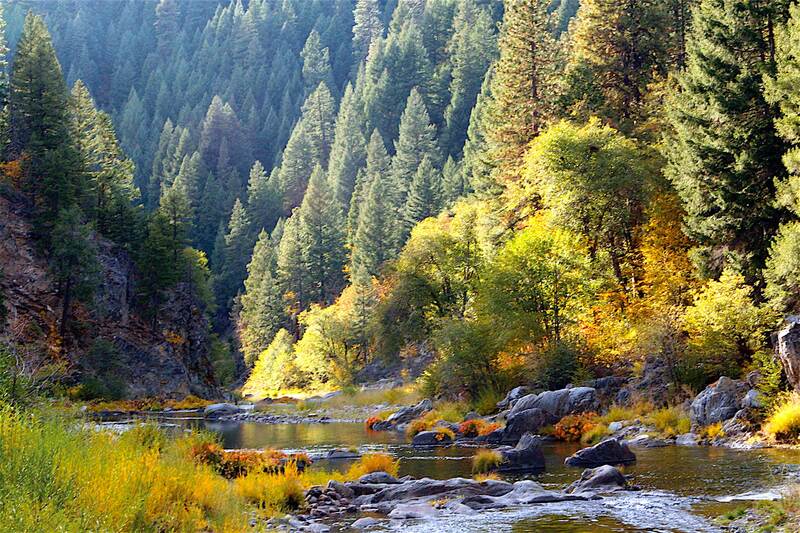 We moved to Plumas County for many reasons. The small-town atmosphere of all four of the primary communities were a big draw for us. We knew Plumas County would be a great place to raise our children and when you added in all of the outdoor activities available in the area we knew it was the right fit for our family. Now I feel that those same ideals that I found so appealing back then are being threatened by the burgeoning commercial marijuana industry that seems to be surrounding all of us. Like a lot of you, I was not aware of what was happening here in our lovely county. It wasn’t until I attended the public meeting here in Quincy where the Cannabis Working Group (appointed by the Board of Supervisors) unveiled their marijuana ordinance that they had been working on for almost a year. I was completely shocked at the permissive ordinance that would have allowed marijuana cultivation virtually everywhere in Plumas County. The next day several others who were just as disturbed by the potential reality of what was going to happen, got together as a small group of concerned citizens and held our first meeting. That group now has grown into what we now call ourselves, the Citizens Group for a Responsible Cannabis Ordinance. The growers here in Plumas County like to tell us that by regulating their industry, the “bad” guys will go away. Don’t believe it. The cartels that are decimating our forests with illegal pot grows, leaving behind contamination from fertilizers, trash, and threaten wildlife from the pesticides, will not go away. There is too much money (cash) to be made from their illegal grows. Already we have seen large growing operations such as Aquarius Cannabis in Sierra Valley changing the way of life for those individuals being unfortunate enough to have to live around that medical marijuana cooperative growing operation. This grow, currently considered legal, has thousands of marijuana plants growing. Drive across Sierra Valley in the dark during the growing season and you will notice the lights illuminating the area. I have been told that armed guards protect the area. This growing operation is based on several thousand medical marijuana prescriptions for people in Los Angeles. The business side is handled in all cash with the money being sent to an off shore bank in Puerto Rico. Does this sound like a legitimate business operation to you? Marijuana growers here in Plumas County want you to think that it is just another crop. However, their “crop” is marijuana and it will be heavily regulated by both the State of California and Plumas County. There is a big difference between growing alfalfa and growing marijuana. I don’t seem to remember seeing armed guards or dogs patrolling the alfalfa fields. Nor do I remember smelling the noxious odor emitted from maturing marijuana plants. I don’t recall any alfalfa fields being stolen by criminal elements for the high monetary value of the plants. Let’s be clear, this has already happened here in Plumas County by people seeking monetary gains from growers cultivating their medical marijuana plants. People growing marijuana will tell you that we need regulation here in Plumas County and that by passing a permissive growing ordinance it will bring everyone now growing suddenly into compliance. Why do we think that people who grow illegally now, will suddenly become law-abiding citizens and obtain the necessary special use permits and pay the fees associated with proper licensing? At the public hearings that have already been held, growers have already said that the illegal growing will continue despite the Board of Supervisors passing a moratorium for commercial cultivation of marijuana. The growers are thumbing their noses at the County’s concern for commercial cultivation of marijuana and the changes it will bring to our beautiful area. Please take a look at the ordinance the Citizens Group for a Responsible Cannabis Ordinance has prepared. The Board of Supervisors agreed to forward our ordinance to the Planning Commission in November 2017. Our ordinance was written to be very restrictive and is modeled after Tehama County’s ordinance, which was put in place several years ago and has survived legal challenges. We believe it is a good place to start. In conclusion, I want other families considering making the move to Plumas County to have the same opportunities our family had when we moved here 37 years ago. This county has been our home for many years. Please do not let this “green” rush destroy our quality of life. Your support is requested. Join our group as “supporters”. Say no to commercial cultivation of marijuana in Plumas County. → We must ban commercial cannabis.